On arrival to the Peruvian capital we take you to your convenient airport hotel. Today we bring you to your first-class tourist bus across the high altiplano to Cusco and your city center hotel. There are regular stops so you can appreciate the historic sites of Raqchi and Andahuaylias and the stunning mountain scenery. Overnight in Puno on the shores of Lake Titicaca. 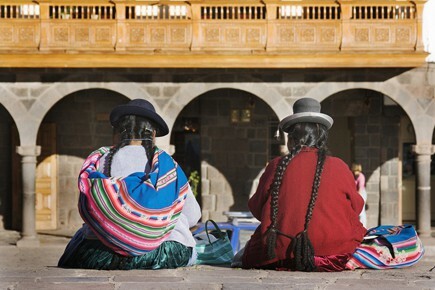 We pick you up from your hotel to take you on a full day guided tour of Lake Titicaca visiting two completely different and unique traditional societies. The Uros people live on reed islands that they make themselves: the islands making up an entire community including post office, shops, school and clinics. The other island is Taquile, which has its own unique traditions ; a gorgeous island with no motorised transport. 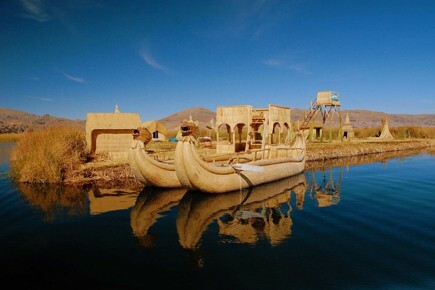 Return by boat to Puno and your city center hotel. Travel overland across the high plains and into Bolivia. Option! 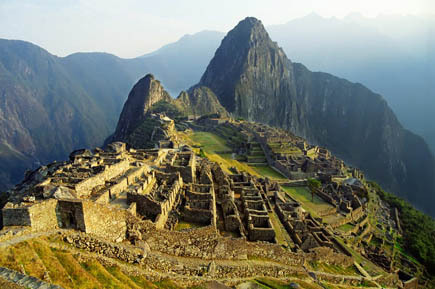 Visit the incredible Pre-Inca ruins at Tiwanakau. We take you on a tour of this fascinating city including the ´Witches Market´ where locals and shaman buy their charms and sacred ingredients, the historic center and viewpoints where you can appreciate the high mountain location of La Paz. Overnight in La Paz. Fly directly to Uyuni and the start of your Salt Flats Tour. 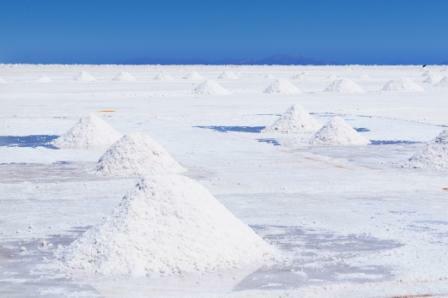 Visit miles of dazzling white salt flats and an island of cacti. Incredible scenery on your 4 x 4 private tour. Overnight in Uyuni. 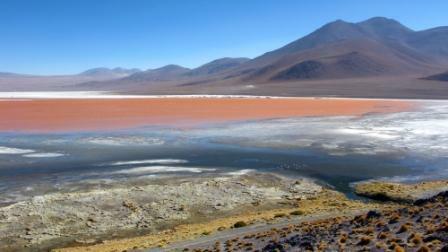 Visit the Colorado Lakes to see flamingoes and diffferent colored altiplano lakes. With huge volcanoes behind, the scenery (and altitude here) is absolutely breathtaking.